Let's talk jewelry. 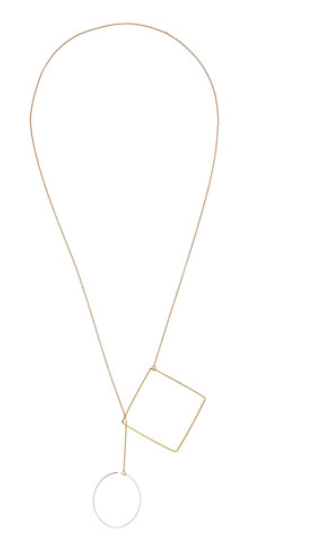 Let's talk long, elegant, simple jewelry. With me? Ok, stay with me. Let's talk lariat. Still there? Excellent. 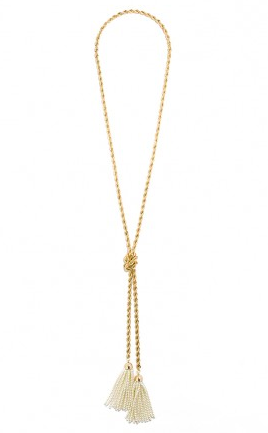 The lariat style necklace is sleek and chic and with sweater weather, it's a great accessory. So simple. Gold square, silver oval. I love it. A nice vintage twist on the lariat style. I love the pearl tassel. 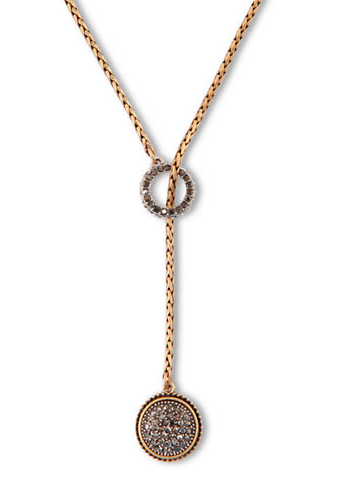 A heavier yet thin braided chain with a bit of sparkle at the end. How genius is this simple honeycomb shape? The lariat style can be worn ironically for Halloween but when it comes to feminine, understated style, this is just perfect.